This programme targets all age sets in the local population of Rendille, i. e. warriors, women, school-dropouts, elders. These people are generally non-educated and many of them are illiterate and only know their tribal language. 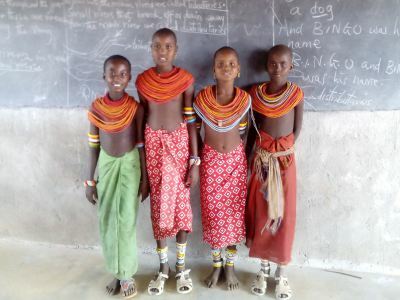 As most never attended school, they have a different understanding and view of life. Hence this programme aims to empower them with life skills and knowledge in various areas including health advice (e.g. hygiene, reproductive health, FGM), basic language knowledge. Organized events, entertainment and sporting activities are also planned to be used as a way to achieve these goals and promote their social lives in a non-harmful way. In future technical training like tailoring, carpentry are planned to be established. This programme is conducted in a way which aims not to interfere or extinguish their lifely culture and traditional values. Therefore it is not our goal to force Western lifestyle upon them, but rather integrate and combine both in order to improve their quality of life. Furthermore, parental attitude towards education is addressed, as it substantially contributes to pupils’ general progress. 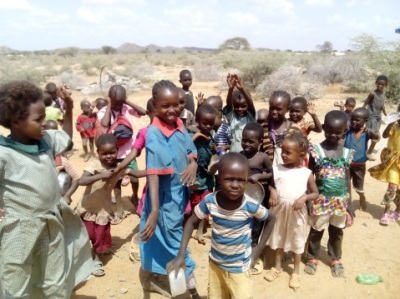 Besides, the programme aims at campaigning for more children to start their lives as school going pupils rather than the other option as lifestock grazing children. On the financial side, we are looking for sponsorships and other financial assistance for children from especially poor backgrounds. This programme targets anybody with a lot of free time, business ideas, and/or no network or capital to market their products. Specifically we aim to support women crafting bead products to find a market abroad selling their bracelets etc., thus making some extra money. Many of them are found idling in their manyattas each and every day with no activity around as for example farming. In future, if funds allow, a interest-free loan scheme is planned to help locals establish small businesses. If funds will allow other building projects might be put in place, for example community wells to assist the community to access clean water more easily.